Florida currently has three waivers that are open to children. All are HCBS 1915(c) Medicaid waivers, and all waive parental income. For an overview of the programs, see this page. Florida's waiver for AIDS was ended as of 1/2018. 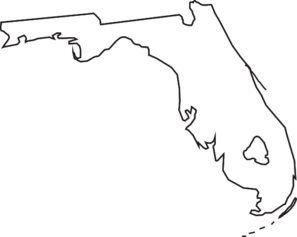 With the exception of two condition-specific waivers for Familial Dysautonomia and Degenerative Spinocerebellar Disease, Florida has no programs for children with physical disabilities or medical technology. These children may, however, qualify for the iBudget waiver, which targets people with developmental disabilities. Florida also has several adult-only waivers including Traumatic Brain and Spinal Cord Injury, Adults with Cystic Fibrosis, and Long-Term Care Managed Care. Target Population: Children and adults with developmental and intellectual disabilities, including autism. Income Waiver: We believe this waiver does not count parental income, but we have been unable to find written confirmation. Description from medicaid.gov: Provides residential habilitation, respite, support coordination, adult dental, OT, PT, private duty nursing, respiratory therapy, skilled nursing, specialized medical equipment and supplies, specialized mental health counseling, speech therapy, transportation, behavioral analysis services, behavior assistant services, dietitian services, environmental accessibility adaptations, family and guardian training, life skills development, PERS, personal supports, residential nursing, special medical home care, and supported living coaching for individuals with autism, IID, and DD, ages 3 - no max age. How to Apply: Contact the Agency for Persons with Disabilities by phone, toll-free at 1-866-273-2273, or by mail at: Agency for Persons with Disabilities, 4030 Esplanade Way, Suite 380 Tallahassee, FL 32399-0950. See this application information page for more details. Waiting List: Florida has 20,751 people with developmental disabilities on its waiting list. Target Population: Children and adults who are medically fragile and diagnosed with familial dysautonomia. Description from medicaid.gov: Provides respite, support coordination, adult dental, behavioral services, consumable medical supplies, durable medical equipment, non-residential support services for medically fragile individuals, ages 3 - 64 years. How to Apply: Contact the Agency for Health Care Administration by phone toll-free at (888) 419-3456, or by mail at: Agency for Health Care Administration, 2727 Mahan Drive, Mail Stop 20, Tallahassee, FL 32308. Waiting List: This program typically does not have a waiting list. Target Population: Children and adults who are medically fragile and technology dependent. This waiver is ONLY for children with degenerative spinocerebellar disease. Description from medicaid.gov: Provides respite, assistive technology and service evaluation, environmental accessibility adaptations, and transition case management, for medically fragile individuals, ages 0 – 20. How to Apply: Contact the CMAT program at (850) 245-4200, or the Agency for Health Care Administration by phone toll-free at (888) 419-3456, or by mail at: Agency for Health Care Administration, 2727 Mahan Drive, Mail Stop 20, Tallahassee, FL 32308.